Carla Gonzalez, the seasoned beauty pageant competitor, cemented yet another victory in her illustrious pageantry career after receiving the highest of honors from judges at the Ms. United Nation International competition held October 6, 2013, in Montego Bay, Jamaica. 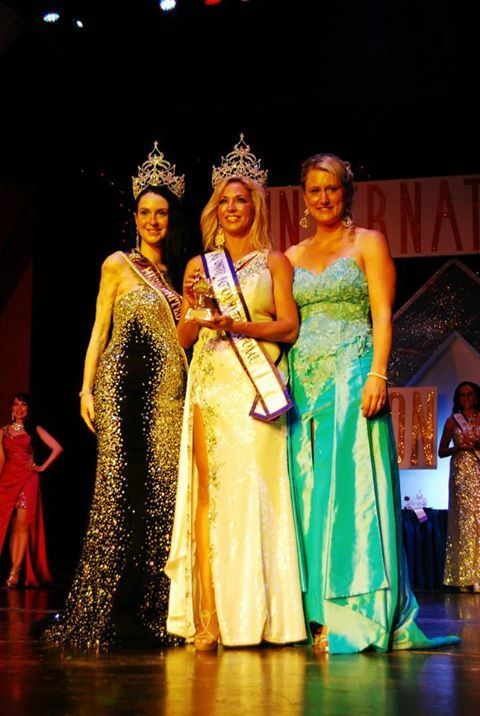 The Ms. United Nation International crown is one of several accolades Gonzalez has received. Last year, she was crowned Ms. America International 2012-2013. She was also Ms. U.S. of America 2011-2012, and Ms. Oklahoma United States 2009-2010. Gonzalez, who is a Clinical Social Worker, has been steadfast involved in Bullying Prevention, which was her leading platform for several years alongside Teen Dating Violence Prevention. Her passion has always been to inspire women of all ages. Earlier this year, she expanded her platform to include the empowerment of women, adding to a host of other social causes that motivates Carla to become the positive, influential woman she intends to be for women around the world. Gonzalez holds national certifications in Bullying Prevention, Grief Recovery and Anger Management. She is a trained facilitator in Teen Dating Violence Prevention through Break the Cycle and also in the Prevention Relationship Enhancement Program (PREP), alongside Within My Reach, both through the Oklahoma Marriage Initiative. She is also currently working to become a Certified Life Coach and a Certified Etiquette Professional. Her plan for 2014 is to open the doors to her own counseling center - Reflections Counseling, Education & Wellness Center. This has been a life long dream of hers and she is excited to finally see all of her hard work come together and achieve her goal. Gonzalez is involved with and supports many organizations and charities such as the United Nation Association of the USA, Human Trafficking task force, Internet Crimes Against Children task force, International Bullying Prevention Association, National & State Coalitions Against Domestic Violence, Suicide Prevention-Live Out Loud Charity, Children’s Hospital Foundation, St. Jude Children’s Hospital, Wounded Warriors Project, Guard A Heart, Go Red for Women, and Susan G. Komen. In celebration of her recent victory, Gonzalez will be attending several upcoming red carpet and charity events. She was recently invited to judge the Woman of Achievement pageant in California and appear on the red carpet at Grammy Winner Omar Akram’s Album Release Party for “Daytime Dreamer”. 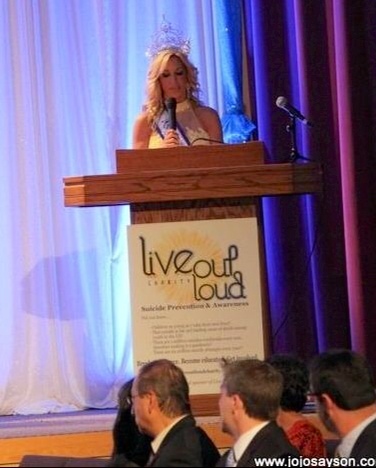 She recently served as the emcee of Tiara magazine’s Live Out Loud Charity fashion show in Chicago, Illinois, supporting suicide prevention and education. 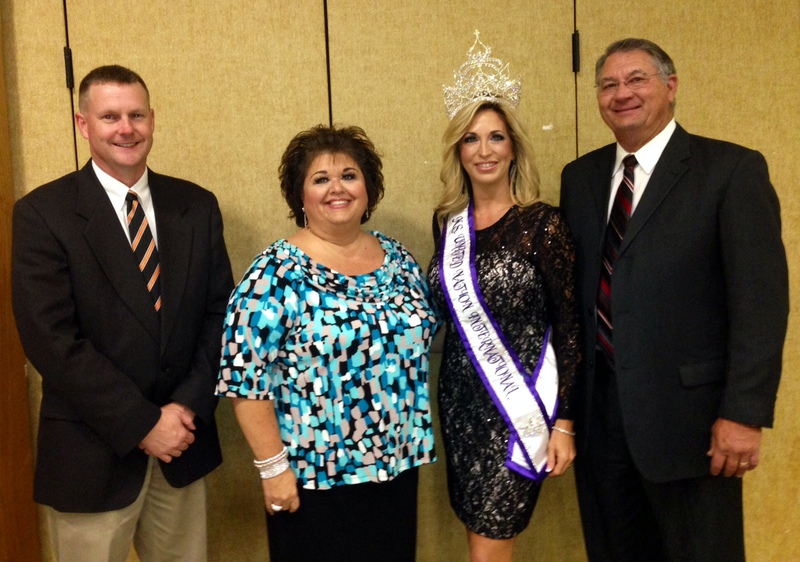 She also participated in a fashion show in Oklahoma City to raise money and awareness for breast cancer and domestic violence prevention, and she had the honor of being the guest speaker in her hometown, Idabel, Oklahoma at the yearly Chamber of Commerce banquet. Carla will continue her charity work across the U.S., and now with having an international title, she hopes to expand her efforts abroad. For more information about Carla Gonzalez, please visit her website at: http://www.carladgonzalez.com. For Media Inquiries, Interviews or Speaking Engagements, please contact YM & Associates PR | Marketing | Branding at YMoralesY(at)YM-PR(dot)com or call 949-244-9769.